Dr. Alveda C. King works toward her purpose in life, to glorify God. Dr. King currently serves as a Pastoral Associate and Director of African-American Outreach for Priests for Life and Gospel of Life Ministries. She is also a voice for the Silent No More Awareness Campaign, sharing her testimony of two abortions, God’s forgiveness, and healing. The daughter of the late civil rights activist Rev. A.D. King and his wife Naomi Barber King, Alveda grew up in the civil rights movement led by her uncle, Dr. Martin Luther King, Jr. Her family home in Birmingham, Alabama, was bombed, as was her father’s church office in Louisville, Kentucky. Alveda was jailed during the open housing movement. She sees the pro-life movement as a continuation of the civil rights struggle. Dr. King is a former college professor and served in the Georgia State House of Representatives. She is a best selling author; among her books are How Can the Dream Survive if we Murder the Children? and I Don’t Want Your Man, I Want My Own. She is an accomplished actress and songwriter. 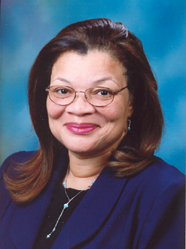 The Founder of King for America, Inc., Alveda is also the recipient of a Doctorate of Laws degree from Saint Anselm College and sits on the Board of Georgia Right to Life. To arrange a media interview, emailmedia@priestsforlife.orgor call 888-735-3448, ext. 251. Sharon has found healing and peace after suffering regret and complicated pregnancies years after her abortion. in Our Mission to raise awareness about abortion's adverse effect on society.